The Western Vocals (Group) competition was held among much enthusiasm, with teams 9 teams participating. The competition was judged by Mrs. Nandita Naraina Swamy, Chemistry teacher at Sri Venkateswara College (trained in classical music) and Ritwik De, a musician. 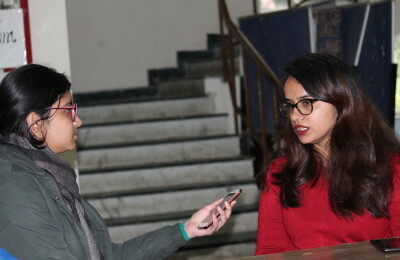 Other colleges that took part in the competition were Miranda House, Shaheed Sukhdev College of Business Studies (SSCBS), Gargi College, Jesus and Mary College. The groups sang popular tracks such as Thriller by Michael Jackson, Somebody to Love by Queen, If You Wanna be My Lover by Spice Girl, and songs by Stevie Wonder.